Leaky gut results when the digestive lining becomes damaged. The digestive lining becomes degraded by medications, alcohol, refined or processed foods, toxins, lack of fiber etc… Not having the proper balance of bacteria (also caused by toxins, medications, processed foods etc...) can lead to an overgrowth of bad bacteria, again degrading the lining of the digestive system. The lining of the gut should have healthy micro-villi and nice, tight gap junctions between cells, that selectively allow the proper nutrients to be absorbed and cross into the blood and lymphatic system. Over time, the normal, tight junctions of the intestinal mucosal cells deteriorate. When the lining of the gut is damaged it can allow larger substances like toxic molecules, undigested food particles, undigested proteins, toxins and other unwanted foreign bodies to cross into the blood and lymphatic system. Your body reacts to these foreign bodies as intruders and releases anti-bodies to fight them, i.e. inflammation! Eventually these unwanted intruders set up space in the various tissues of your body and present as inflammation and chronic disease. Your system becomes bombarded with toxins and proteins that can and do overtax the liver. This is Leaky Gut Syndrome. Many chronic diseases have been linked to the degradation of the lining of the gut. Due to the overuse of antibiotics and hand sanitizers, eating the standard American diet, and not “playing in the dirt” our microbiomes have changed. This includes an overgrowth of “bad” bacteria and yeast, a less diverse gut flora, tight junctions to become “leaky” and the good bacteria to infiltrate the wrong areas. These problems are called Leaky Gut, SIBO, Candidas, irritable bowel syndrome (IBS), Dysbiosis, Gluten sensitivity, and more. Get the bundle to SAVE or products can be purchased individually. 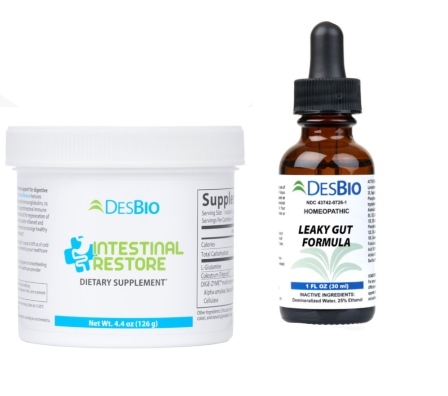 SPECIAL- Purchase the Leaky Gut Formula and Intestinal Restore together to SAVE MONEY. 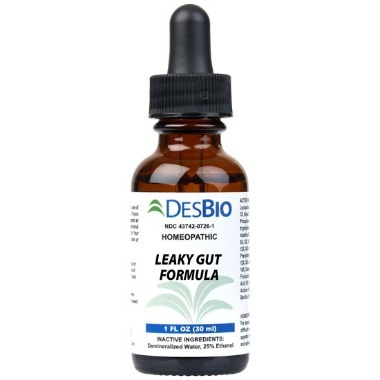 This homeopathic formula is used to combat symptoms related to leaky gut syndrome such as fatigue, seasonal allergies, joint pain, occasional constipation, mental fogginess and occasional diarrhea. 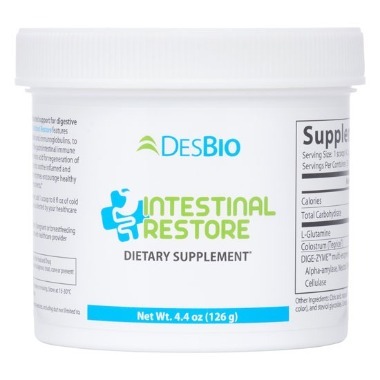 Intestinal Restore provides the digestive system with support, using Tegricel, a source of serum antibodies and immunoglobulins.